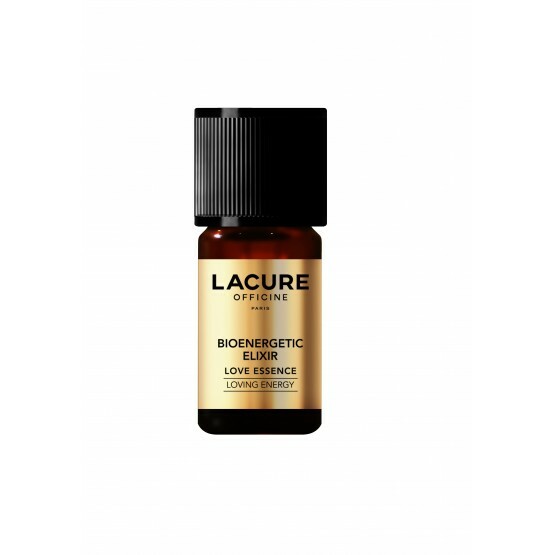 LACURE OFFICINE has developed the BIOENERGETIC LOVE ESSENCE ELIXIR compound which offers all the benefits of our synergistic complex of essential oils to help you harmonise communications and emotions in your emotional life. Deeply inhale BIOENERGETIC LOVE ESSENCE ELIXIR with one nostril and then the other, 3 times in a row. Repeat 2 to 3 times in the day, for 10 to 20 days. Contains essential oil of palmarosa, ylang-ylang, geranium and basil. Contains essential oil of neroli. May cause an allergic reaction. IF INGESTED: call immediately an ANTI-POISON CENTRE or a doctor. DO NOT FORCE VOMITING. IN THE EVENT OF CONTACT WITH THE SKIN: wash thoroughly with soap and water. In case of eye contact, rinse carefully with water for several minutes. Remove contact lenses if the victim wears them and if they can be removed easily. Continue to rinse.